Tunnel Gating has come Full Circle! 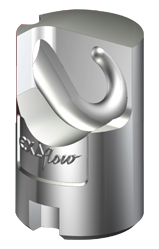 As a specialist for gate insert technology, EXAflow® provides sophisticated, worldwide solutions for plastic injection molders and supports them with complete service. Giving engineers a tool to solve the most complex molding challenges, this designer-friendly device has been precisely engineered based on in-depth, data-driven analysis. 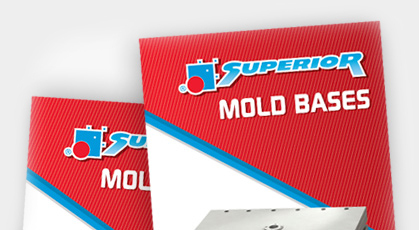 Using actual measurements, it ensures proper plastic part and runner ejection from the mold, setting it apart from other tunnel-gating options. 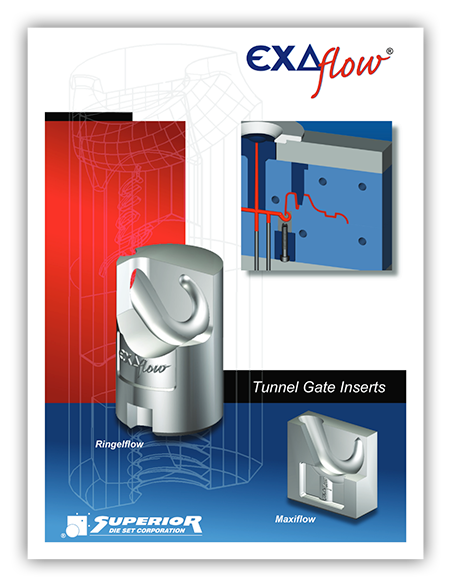 Check out the EXAflow tunnel gate catalog for more information on our in-stock inserts and design guide. Watch video EXAflow tunnel gate video features the GXK-2 animation demonstration.